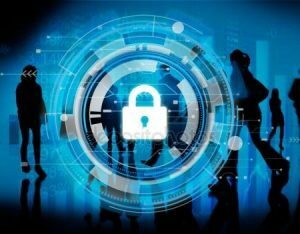 Protect your Business: In today’s society, organizations are responsible for more and more sensitive information every day. It is imperative for them to protect themselves in the event that this information ends up in the wrong hands. This could happen through a hacker, an email sent to the wrong person, theft of a document or laptop, and various other possibilities. A leak of sensitive information could put a company out of business if they are not properly protected. – Lock and secure sensitive information stored in paper files and on removable storage devices. – Restrict access to data to those who have a “need to know” and limit network access on computer stations located in public spaces. – Properly dispose of sensitive data by shredding documents and removing all data from computers and storage devices prior to replacing them. – Record and regularly review data practices with employees. – Utilize password protect systems to control which employees have access to certain information and change passwords at least quarterly. – Encrypt data on all laptops, mobile devices, flash drives, back-up tapes, and emails containing sensitive information. – Ensure that remote access to your network is secure. – Keep software and operating systems current including a firewall, anti-virus programs, and anti-malware programs. The Insurance Place, Inc. has access to the leading privacy protection markets in the industry. The target classes for this product are retailers, health care providers, professional service providers, technology companies, distributors, and manufacturers. It covers electronic events (ex. hack) and non electronic events (ex. lost paper files). Here is a sample of some of the coverages available to protect your business.